I came up with this little design last year. 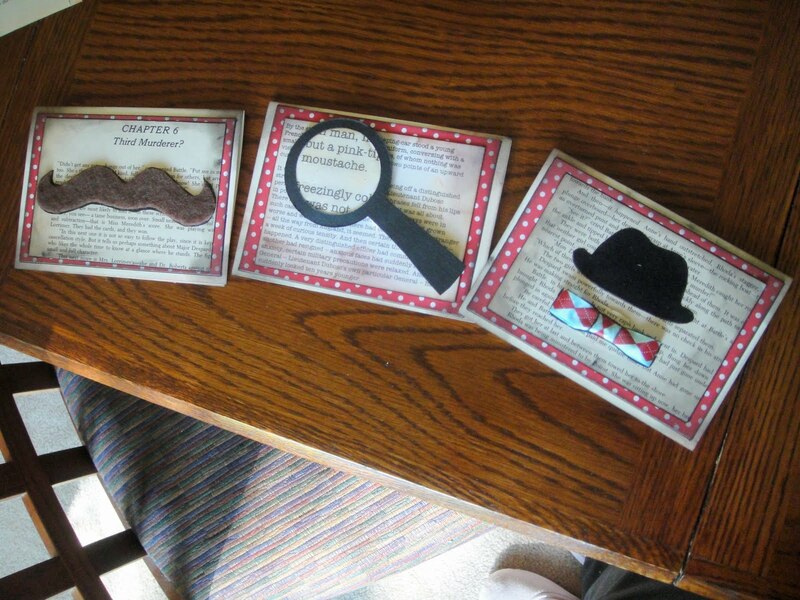 I had a customer who bought a Hercule Poirot Purse from me and I made a set of cards for them. 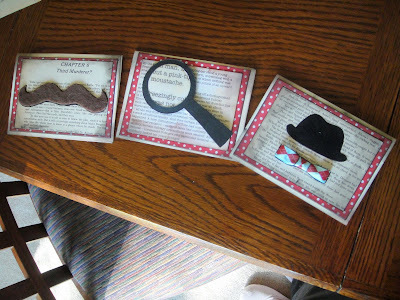 I was the most happy with the magnifying glass card. 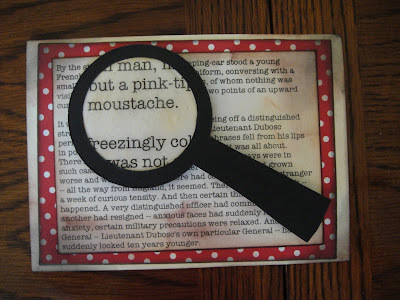 This technique is perfect not only for cards but for journaling and scrapbooking too. First, choose what text you'd like to "magnify." 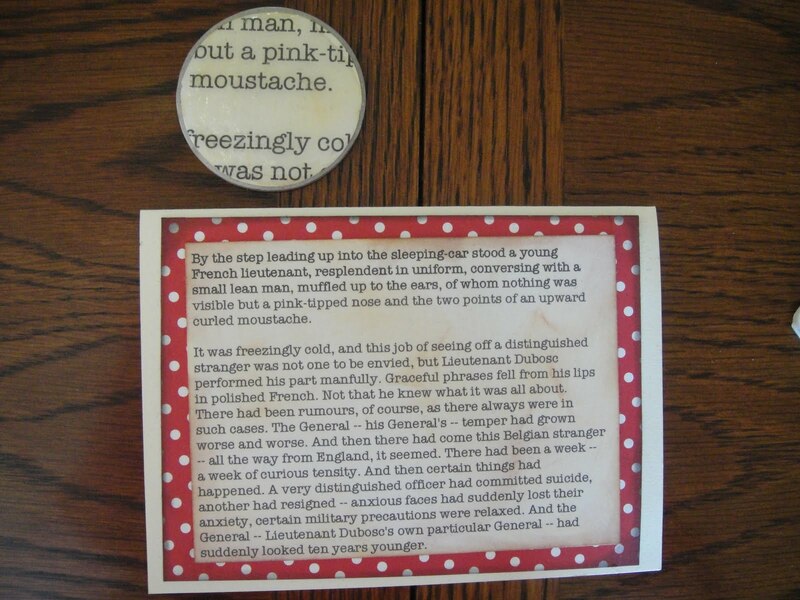 I found a description of Hercule Poirot online, copied and pasted it into a Word document twice. Make sure you have 2 separate copies of each description. I made one paragraph in a 10 point font, then the other one in a 20 point font. 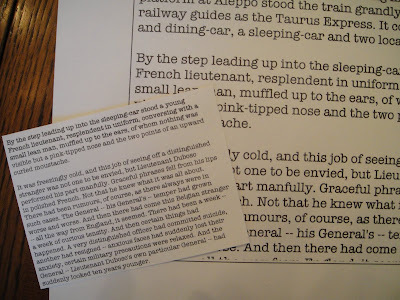 Obviously, the bigger paragraph will be your magnifying glass. I made the difference between the two fonts very exaggerated because I wanted to emphasize one word. Play with the size of your fonts until you achieve your desired look. Keep in mind what words you want magnified. 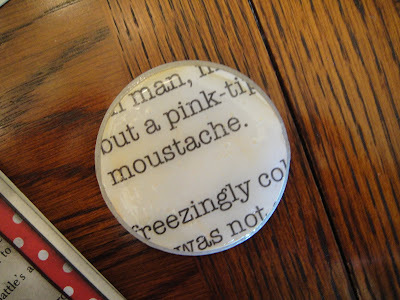 Using a circle cutter or your chipboard circle as a guide, cut a 2 inch circle out of the "magnified" text, making sure to include what words you want emphasized. This may take trial and error . 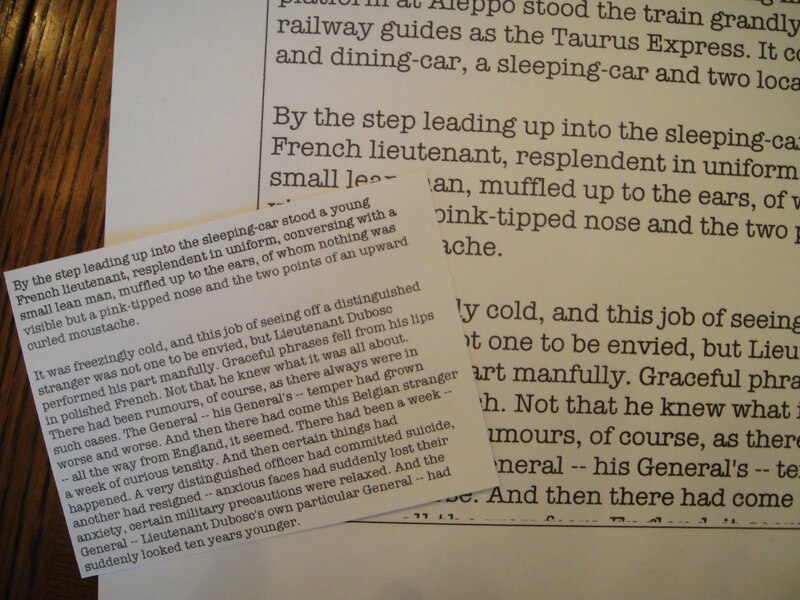 . . if you have very specific sentences you want in the magnifying glass, you may want to draw a circle in your Word program and type the sentences in the circle, so nothing is left out. (For more info, leave me a comment or email me with details.) 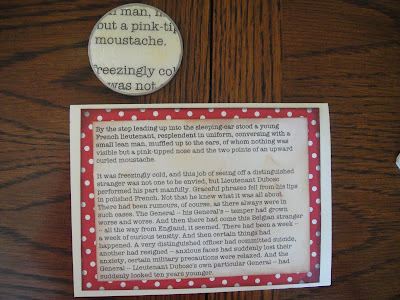 Next, glue the cardstock circle onto the chipboard circle. *If you don't have Glossy Accents or don't like using it, you could always use transparency paper instead . 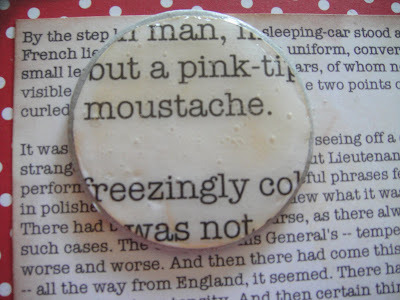 . . cut it into a 2 inch circle and lay it on top. I personally hate working with transparency since it's so difficult to not get fingerprints all over it. Different strokes for different folks, I guess! 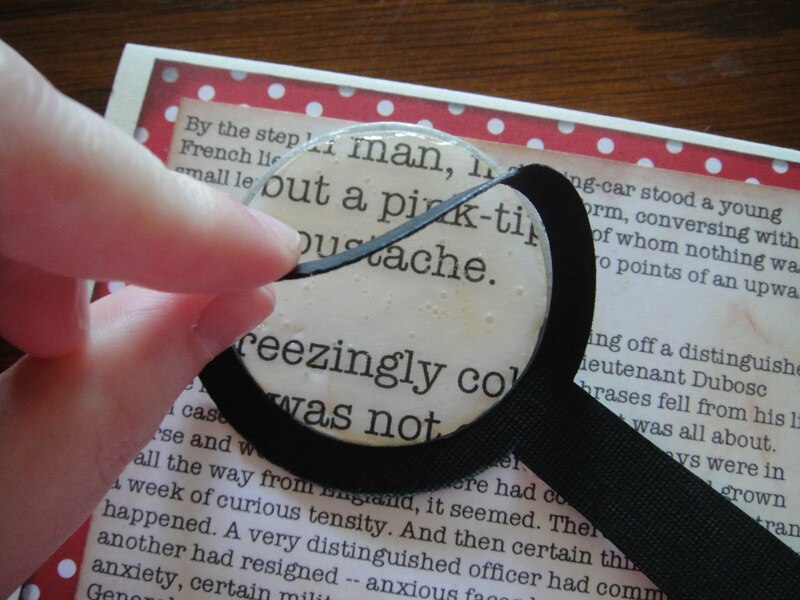 Once the Glossy Accents is dry, cut out the magnifying glass handle out of cardstock. Glue the circle in place on top of the smaller block of text. Try to place it as accurately as you can . . . again, it won't be perfect but it's all good! 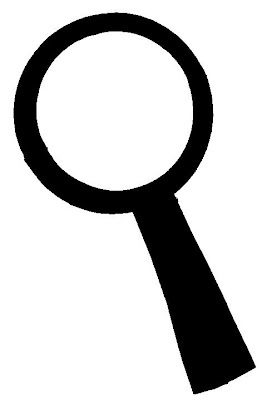 Make sure to also leave plenty of room for the handle of the magnifying glass. 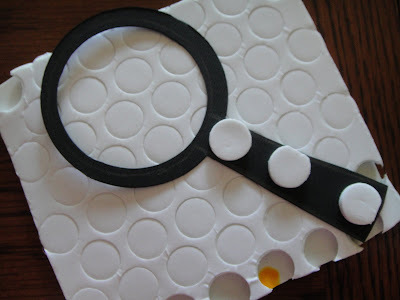 Get out your pop dots and place them on the handle of the wrong side of the magnifying glass handle. 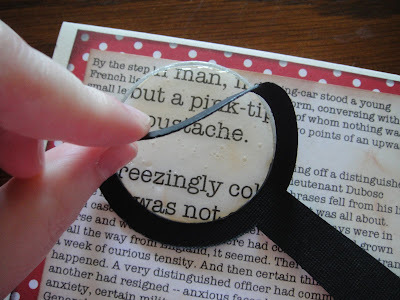 Add some regular glue or adhesive to the circle part of the handle. Gently place the handle on the paper and make sure it adheres to the circle. And . . . voila! A fun, inventive little project that requires some trial and error but it'll pay off in the end! I have bought books on scrapbooking (I am addicted to craft books) and am collecting bits and pieces for putting together a scrapbook. This idea has lots of mileage to it when I eventually get started - thanks! This is fabulous! It would be a great card to make for any book lover, or really anyone, and you can just choose some fitting text for them. Great instructions, too!